It IS always great to hear of new kinds of races, especially if youa��re up for more excitement than running 10K or a marathon. So if youa��re the kind who likes to get dirty and still come out a winner, the Alpha League Race (ALR) is just for you. Born out of banter between Harshveer Singh Saluja and Bishen Singh over a few games of squash last year, by midnight, the duo had decided to a�?make an obstacle race happena��. Jatin Arora came on board to guide them with the course creation as hea��s a fitness trainer. Then, after watching Million Dollar Arm with Aval Juneja, Saluja brought him and Ninety Nine Steps Sports & Entertainment, the holding company of ALR, on board. Chatting to Saluja and Arora about the second ever ALR, we find out more about what theya��ve got in store. Worldwide, the focus is on obstacle races, as it the fastest growing sport in the world. In India, we have quite a few marathons that have mushroomed and our understanding is that people do want something more thrilling. Obstacle course races give you that extra element of challenge. From the inception of ALR wea��ve been clear on holding the race on the outskirts of a city. The thought has always been to position the race as a day out for friends to do something different, edgy, fun-filled and memorable. 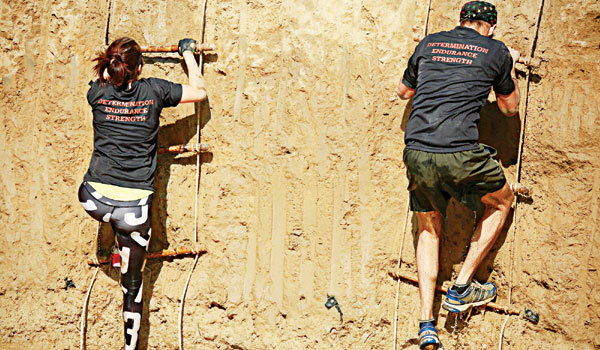 Besides, a muddy 10-km track with over 20 obstacles is a more innovative solution to a healthy lifestyle prepared on a unique terrain. We are taking the obstacles up a notch in terms of toughness. For the Bangalore edition, wea��ve created a bigger cross-fit zone and engage kids in their specific fitness zone. The obstacles will not only test physical strength but will also mental strength a�� endurance and determination. It will challenge your every muscle. Think crawling through mud, crossing barbed wires and pulling yourself across monkey bars. Is it fun, brutal or in between? It will be painful, fun and thrilling as it isna��t about running alone. It is high on energy and you will be tested on various parameters. Rest assured on completion, you will feel accomplished. Tell us about the options. We have two separate races for adults and children. Adults will run on a five-kms muddy track with over 20 hurdles. The Junior Alpha League Races participants will run on one-km track with over seven obstacles. Wea��ve also selected around 15 Ultra Alpha Athletes who will run the track five times, with 100 obstacles.